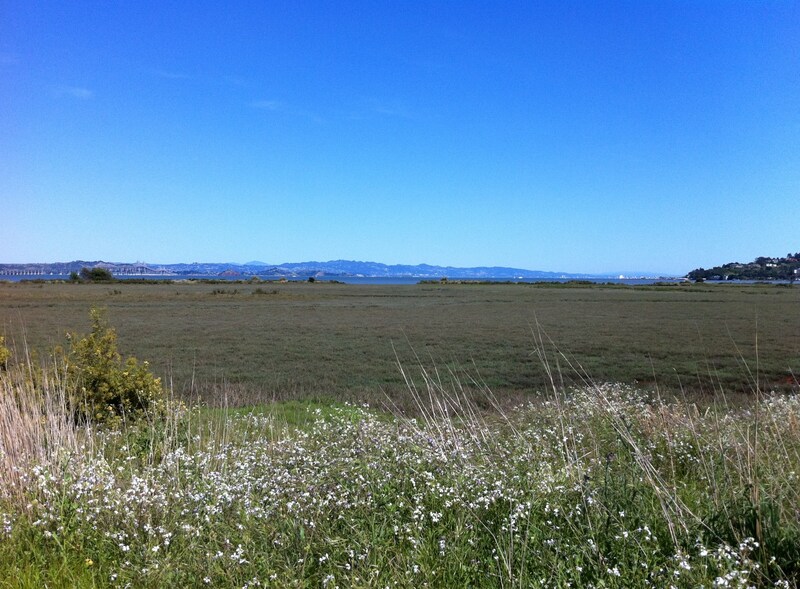 There’s a wonderfully open bird and wildlife sanctuary running along the east shoreline of Corte Madera with walking and cycling paths along the perimeter and down the middle along the old railway corridor. 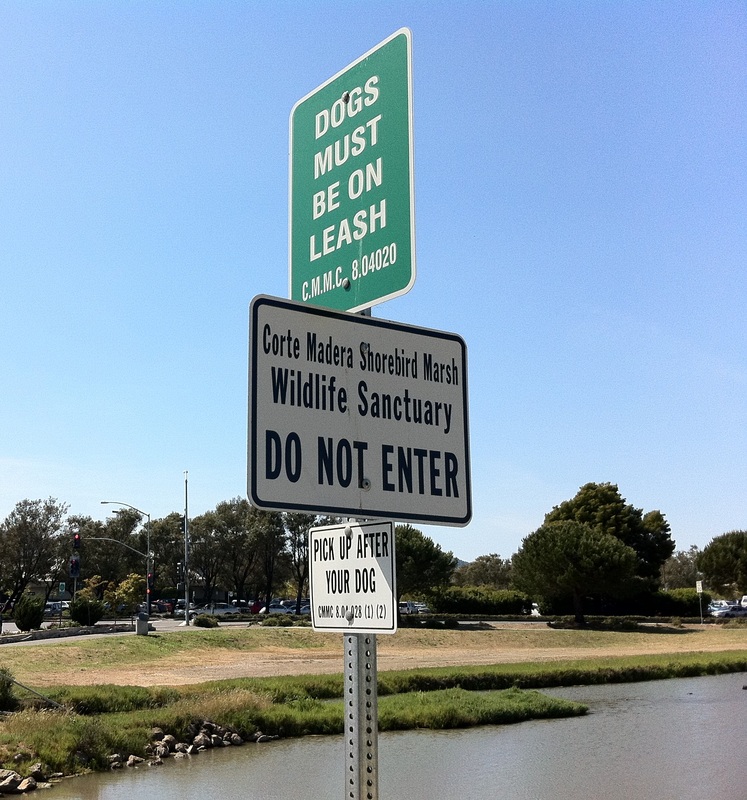 It’s a 31-acre, wide open marsh, starting at the northern edge of the Mariner cove housing subdivision and continuing north until the Greenbrae Boardwalk along Corte Madera Creek. It’s bounded by the Bay on the east and San Clemente Drive and Redwood Highway on the west. Any time of year it’s an ideal spot for young kids on bikes and trikes, because it’s completely flat and the main pathway is paved. 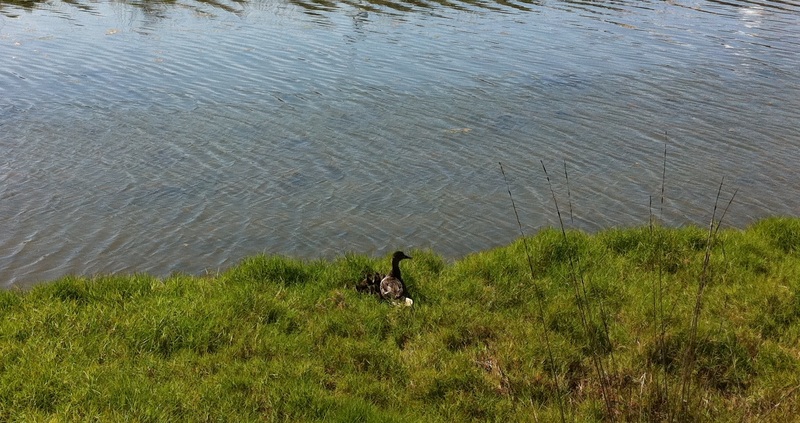 Right now it’s especially great because there are ducks with ducklings in tow – very cute! If you arrive by car, the best way to access the sanctuary is to park by in the parking lot at The Village at Corte Madera, at the Macy’s end. Then, take the crosswalk at the light across Redwood Highway and walk just a bit south on San Clemente Drive to get to the sanctuary entrance. This will take you over the long, straight waterway that parallels Redwood Highway and you’ll then be on the paved path that was the former railway corridor. You can stay on this path all the way to the other end or, after about 200 meters, you’ll come to a sandy path on the right which you can take to go much further east into the sanctuary. It will eventually loop back north and west to the paved pathway, but in the meantime you’ll have had a wonderfully quiet and peaceful bird-watching experience.